This week saw the arrival of our first International Tutor from The Netherlands here at The Royal Bridlington. I collected Jacqueline de Jonge from the airport and enjoyed chatting on the journey back to Bridlington. 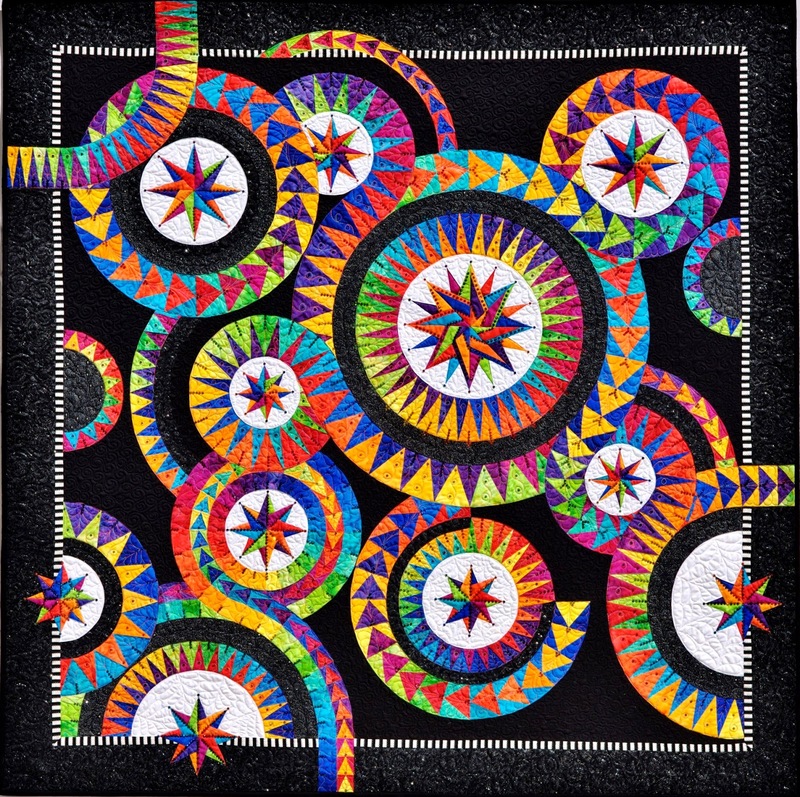 Jacqueline trades as BeColourful and is a self taught quilter and pattern maker. This was her first retreat in the UK as she normally teaches in the USA and Europe. She also still works as a PA for several Cardiologists near her home in Delft, Holland. Her brother & sister both assist with BeColourful too. Over the four days, we had planned two projects - Happiness and Enchanting Stars. Jacqueline had brought both quilts with her and I really must say that photographs do not do these quilts justice. Enchanting stars is embellished with hundreds of beautiful Swarovski crystals and is truly a WOW quilt. The next day after breakfast we made a start on the Happiness Quilt. Jacqueline has developed many of her own techniques which help achieve better results than traditional methods, so everyone, no matter how experienced they were felt that they learnt some great hints and tips. The Students thoroughly enjoyed the first two days working on Happiness and the majority stayed on for another two days to start Enchanting Stars. This quilt is far more complicated than Happiness but does use all the same techniques as Happiness - so the students who had done both felt more confident with the principals than those who arrived for just the last two days. Jacqueline proved to be a great tutor and she was very generous with her assistance and personally helped all the students as needed. Jacqueline de Jonge (BeColourful) will be back again to teach in March 2015. Don't miss it! Choose from 2, 4 or 6 days. See website www.quiltsandwich.co.uk for full details.